My forays into KPop has a few notables. And it started with CNBLUE. 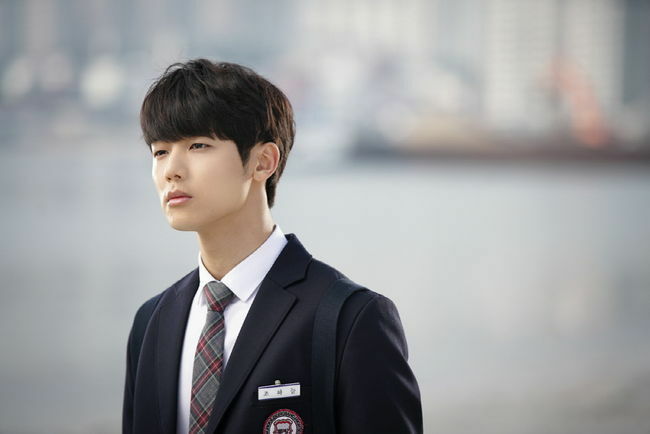 Arguably, I’ve always liked Kang Minhyuk. His acting is pretty good as well. 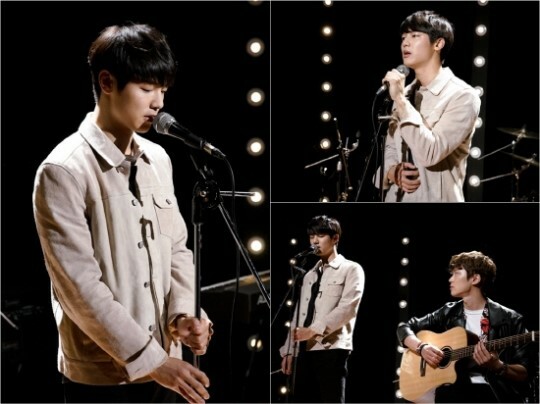 Loved the song he did in Heartstrings – Byeol. Ah… Star. It was, at that time, quite innocent and the song reflected that. But in CNBLUE, the most notable of the four members is dynamically voiced leader and lead singer Jung Yonghwa. Second episode in…and you hear Kang Minhyuk’s clear vocals. I’ve always liked guys with those upturned eyes. And one reason why Kang Minhyuk was just too cute not to notice even if he was drumming in the back. One of CNBLUE’s songs I have in my playlist is called “Teardrops in the Rain.” Minhyuk and their other lead vocalist, Lee Jonghyun (another guy with a voice suited for ballads), sang this song. The one I have is of Kang Minhyuk. It’s entirely in English. Lee Jonghyun’s version has the hard ESS sound as if his tongue cannot curve through the English words properly. Minhyuk’s voice though… It curves through the words just fine, giving the song what it needs… The right amount of longing, of soft echoey whispered flow that evokes the thoughts of rain and longing. And here again, Minhyuk’s vocals shine. I cannot wait to see the next episodes of the drama. I should note that in this particular scene when he sings, he reminded me of another KPop singer I’m currently watching. Jung Leo of VIXX. Must be those upturned eyes. I love the boys of CNBLUE, but this one. God, sometimes, I wish this one was my son. First time to do this. It is currently bubbling away. It was dry penne, just sauteed mushrooms, ground beef, onions, garlic, (special secret ingredient), garlic salt, and pepper. Then dumped them into crockpot with a can of marinara sauce and water. Stirred and left it on high for two hours. Stirred and added a bit more water and left for 30 mins. 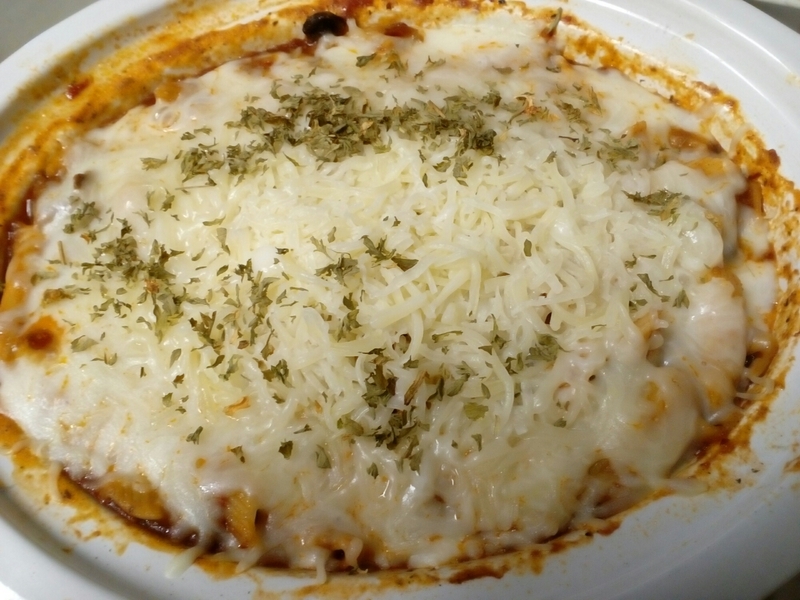 Then stirred and added cheese on top. 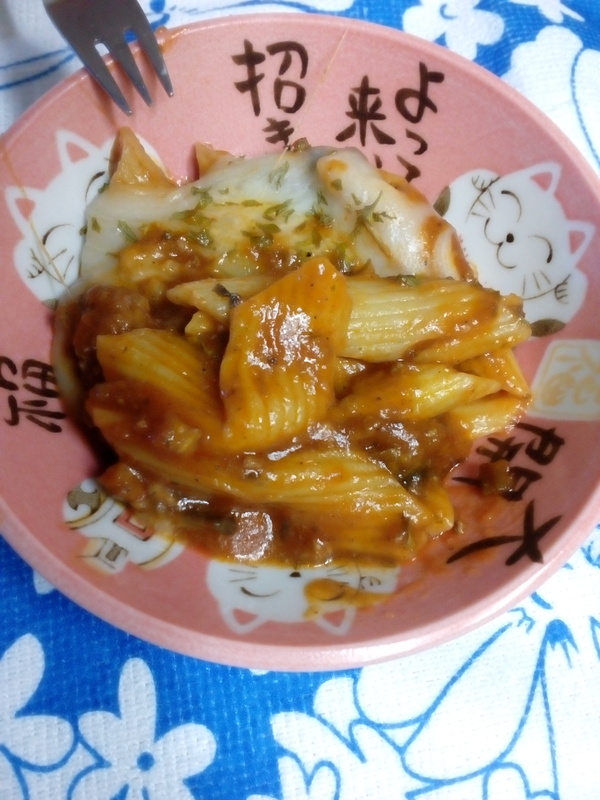 Soooooo yummy!!!! So little effort!!!!! Kim Jaejoong’s released his album! While in the army no less! Truthfully, I’m not here to critique the album. In fact, I’ve fallen in love with Run Away. It’s sad, melancholy. Supposedly, saying goodbye. So why does his voice sound so… regretful… I like most of the songs on this album. Jaejoong’s voice does not forgive, give quarter, or release you from your chains. It abuses your senses. It permeates the very marrow of your grey matter and you wonder where in heaven’s name have you heard this! For a while in Run Away, I thought I may have been listening to Adele. Don’t ask me why! There is also Love you to Death. And that’s interesting. Supposed to be sad, but it’s more… sing songy. Of course, I don’t know the translations yet. It’s just a lot of things about it is catchy. Don’t ask. I’m in a weird mood. I think I like the simplicity of Breathing a lot though. The guitar strums in the beginning is a great touch. This song showcases Jae’s voice so well. Maybe because I really like acoustic guitars, thinking of the islands a lot. I really really really like a lot of these songs. I do. Then again, I’ve always loved Kim Jaejoong’s expressiveness. I’m really really interested in why NoX. 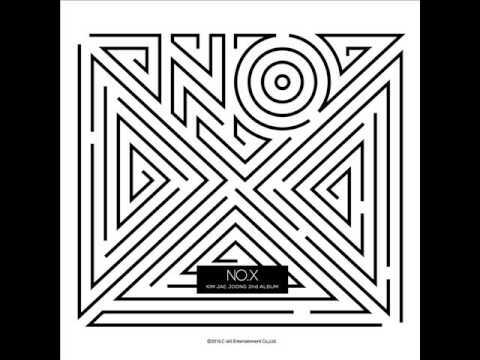 This is Kim Jaejoong’s 2nd album and yet, we’ve got NoX. This can’t refer to their 10 years as JYJ, or his 10 years as a singer. Can’t be that he’s counting since his debut because that’s two years ago, right? I mean the 10 year anniversary. Does he mean. ‘No. X.’ Or is it really number 10? Or is X a place holder? No as in N-O! Hell no! And X. Like no exes. The puzzle within a puzzle is just that. Even his album cover is a puzzle. A maze. A giant X with NO incorporated into the top v of the x. Can it mean. X No.? But the tiny bar at the bottom says No. X. And I’m back down the rabbit hole that Kim Jaejoong somehow threw me into. The album has 12 songs. Song 10 is “Meeting again… we will meet again… but…” Unless we’re supposed to count from the bottom up, then Song 10 will be “Love You More”, coincidentally the title song. Nox can also mean Nitrogen oxide. A noxious gas. Of course, truly, the whole thing is a puzzle. A puzzle within a puzzle within a puzzle. X definitely marks the spot. Just what kind of spot is it? And why No? Coincidentally, NOX in Latin means “night”. Does he mean it’s the 10th night? Like Shakespeare’s Twelfth night? Where disguise, subterfuge and love triangles abound? Come to think of it, the puzzle that is the cover has many triangles. The circles for the O, three of them are completely closed. There is no way to get into the middle of those circles. All the triangles, you can trace your way into the middle of them. While artistically rendered, it is indeed a puzzle. So, Jaejoong’s voice leaves me liking the songs (didn’t look at translations yet), and has me puzzled at the title. Either way, enjoy the songs.